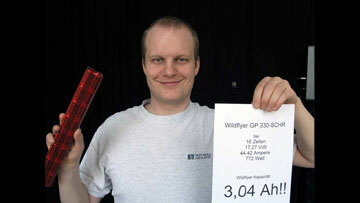 Wildflyer Method - Regeneration of NiMh/NiCd Cells ! With this method you can maximise the power output of most NiMh or NiCd cells and even regenerate old cells ! 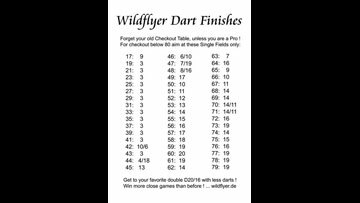 "Wildflyer Dart Finishes" - How to play darts more successful ! Use this checkout table instead of the standard checkout tables and win more games !